At the Piatchek Law Firm, our attorneys are often asked if individuals are required to have an attorney to divorce, especially in cooperative or uncontested cases. Certainly, if you are a legally oriented person who understands legal documents, and you have a lot of time on your hands, you may be able to research, understand, and handle an uncontested divorce by yourself. However, uncontested divorces can still be quite complicated. Even the most simple divorces require many forms that must be completed correctly, and these forms may affect your rights for a long, long time. If you make a mistake, your case may be dismissed and you may lose your filing fee. You will have to start over again and pay another filing fee. If you make a mistake, a judge may require you to get an attorney. It will almost always cost more to have an attorney clean up mistakes than to simply handle your case correctly from the start. Many do-it-yourself divorce forms actually cost as much as, nearly as much as, or more than hiring our firm to handle the divorce from start to finish. Make no mistake: completing a divorce yourself can be confusing and will probably take you a lot longer than it will take our attorneys. Many forms you get at the store, online, or by phone are simply the wrong forms and will waste your time and money. You may end up having to hire an attorney to handle it anyway. For the above reasons (as well as many more we did not mention), we don’t recommend that you try to handle your family law case, divorce, or uncontested divorce yourself. Many of our new uncontested divorce clients tried to complete their divorce on their own first. They spent time and money on it but did not see the case through to completion. So if you are planning to handle your divorce yourself, be prepared! It may not go as planned. Do I Need an Attorney if Both Parties Are Cooperative or My Case Is Uncontested? We often get the following question: “If the case is agreeable, why do I need an attorney?” Here is the answer: Just because you are in agreement, that does not mean you have the ability or expertise to accomplish this within our court system, nor does it mean you have considered all aspects of your case. There may be some stones you have left unturned, simply because you did not know to ask all of the relevant questions. 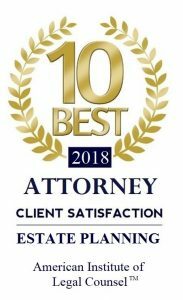 You will need an attorney to make sure that everything is done correctly – that all aspects of your case have been considered, that all documents have been prepared properly to deal with pertinent issues (such as property, debts, and assets being divided correctly), and that custody and support arrangements are completed correctly. Even if you have no children or property, problems can arise if the forms are not in the proper format and submitted correctly. Additionally, in many counties, if you hire an attorney, we can complete the entire case without anyone having to appear in court. If you attempt to handle your own case (besides the fact that you may make mistakes that actually cost you more time and money), you will be required to appear in court. This will typically lengthen the divorce process, taking up more of your time and leaving room for errors, problems, and delays. Our attorneys are available to discuss your family law scenario, whether a divorce, modification, support, or custody issue and whether your case is contested or agreeable. Please call us at 417-882-5858 to set up an initial consultation.